Basic Indian bread made from whole wheat flour. 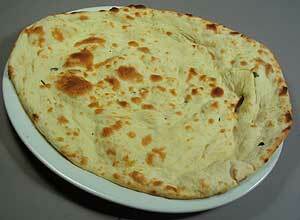 Naan stuffed with homemade cottage cheese and chilis. 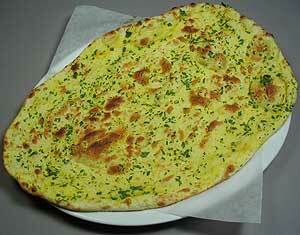 One each of: Garlic Naan, Chappati & Onion Kulcha. Two deep fried whole wheat breads. Delicious homemade bread with cherries.